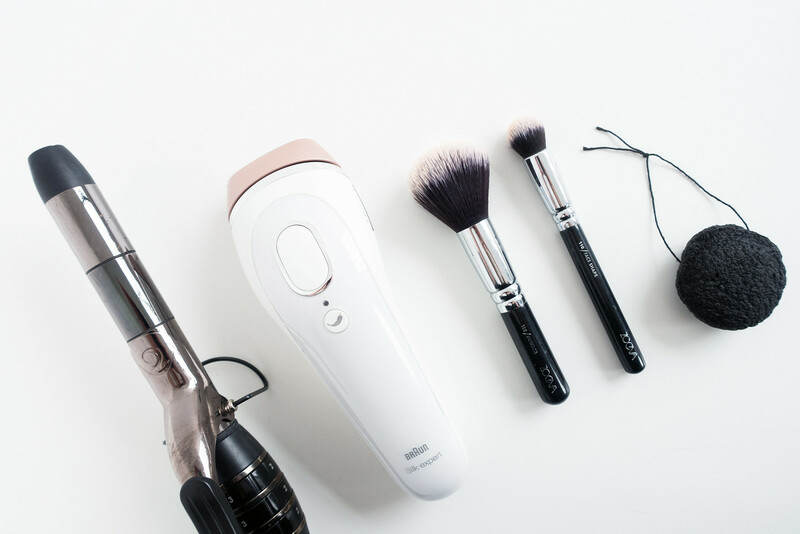 There are some tools that out shine all the rest and have the potential to revolutionise your beauty routine. 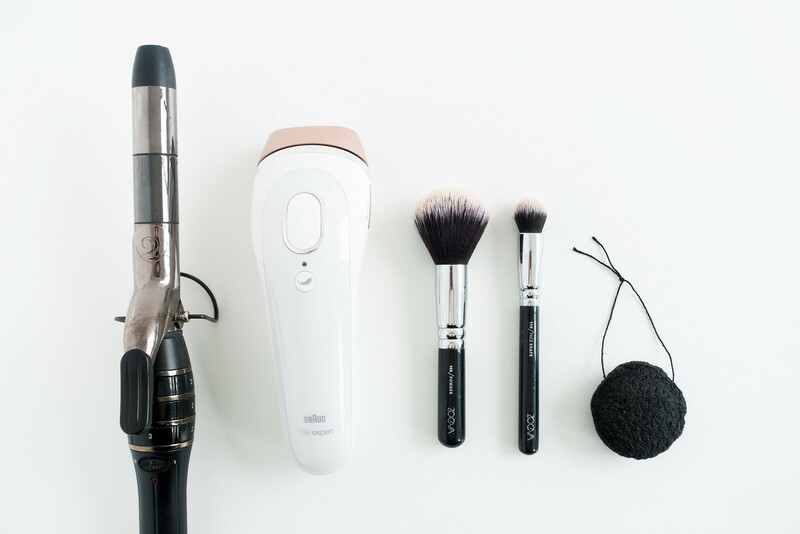 These are four of my absolute favourite beauty gadgets and tools I find irreplaceable when it comes to taking care of my skin, hair, and make-up. Konjac sponges are made from the fibres taken from the root of the konjac plant and have been used for years to care for delicate skin. These sponges providea deep clean and exfoliation; removing surface dirt, eliminating blackheads, killing bacteria, softening the skin and stimulating blood flow. If you have troubled, distressed, or spot prone skin, or you simply have more delicate skin than most, the Konjac sponge is ideal for introducing into your daily skincare routine. It provides a gentle cleanse while being kind to your complexion and the environment. To use, you simply soak in water (ideally 50% room temperature with 50% hot water) and buff across your skin after cleansing. Since these sponges are super easy to clean - rinse thoroughly, squeeze all the water out, and then hang to dry - it makes a more hygienic, eco-friendly, fuss-free alternative to muslin cloths and flannels. I've switched to these after years of struggling to find the perfect alternative to wasteful cotton pads, muslin cloths, flannels, and face towels. I can't recommend the Konjac sponge enough, after several months of use I absolutely love this little skincare tool and wouldn't be without one in the future. If you're looking for a more permanent hair removal solution, Intense Pulsed Light treatments are the way to go. Although professional IPL treatment is arguably more effective, they are pricey and home treatments can provide similar results with frequent use. The Braun Silk Expert IPL is the only IPL that adapts to your skin tone and adjusts the light intensity to match it, making this IPL suitable for almost everyone, and it can be used to treat the legs, arms, face, body, and bikini line; there's also an app to help you keep track of your treatments. IPL is not a permanent hair removal treatment but rather a permanent hair reduction method; if you dislike shaving or waxing, IPL might be the way to go. I've been testing the Braun Silk Expert IPL with mixed results, my skin tone is very light, especially on my legs, and the gadget sometimes cannot "read" my skin tone effectively. However, I believe I'm seeing results when I do manage to complete a treatment; the hair that grows back is much lighter in coverage than it was previously. I was very much committed to my Braun Silk-épil 7 Wet & Dry Epilator before testing out IPL so making the switch has been a hard sell. But if you're looking for an alternative to the chore that is waxing or shaving, I'd highly recommend looking into IPL treatments. Quality brushes make all the difference when applying make-up and it couldn't be more true than with the Zoeva Vegan Prime Brush Set. This set contains everything you need: 10 professional brushes for face and eyes including a powder and buffing brush, face shaping brushes, and a concealer buffer; there's also a small eye blender, smudging brush, soft defining eye brush, contour shader, and winged liner brush. Each one is made from synthetic taklon bristles making them the softest of soft brushes you have ever felt, and the set contains a storage page too making them easy to transport during travel because, trust me, you won't want to leave these at home. Ever since I purchased this set all my other brushes have been made redundant (except for the Lily Lolo eye blender) and I'm horrified by the difference in quality between these and the Real Technique brushes - they just feel so harsh and stiff on the skin in comparison. I've written a complete review of this Zoeva set if you're interested in purchasing them and want more detailed information. The best thing about this hair styling tool is it's multi-use nature; with the Enrapture Encode Totem Hair Styler you can create everything from tight ringlets, to beautiful curls, and soft waves. It's suitable for short, medium, or long hair due to the unique barrel. There are three independent zones, which can be controller via the encoder dial to be set to different temperatures allowing for a variety of curls and styling options. It heats up super fast and the sensor provides a constant heat through the polished titanium resulting in snag free, shiny curls. The barrel can be used with or without the flipper and there are "cool tips" allowing for too handed control and precision styling. Despite owning a few styling tools, the Enrapture Encode Totem Hair Styler is the one I reach for the most because of its ease of use and reliable styling; I can use one tool for a multitude of desired results and it never fails to produce the most perfect curls and waves.